It can be very useful to look at someone else's working program to get some ideas when starting a project, or when you encounter a problem. A GNU licenced Modbus protocol stack implementation that has been ported to the PIC18 processor using the BoostC compiler. Code ported by: modbusc@growpro-inc.com. This code also has an option to use Novo RTOS. A demonstration ion program, using a PIC18F2520, of how to scan a matrix keypad and control a DC fan speed using PWM. This code uses Novo RTOS making the code much simpler. Author: David Hobday. This program implements a very simple secure access control using a DS1990 iButton as the key. This program contains all the necessary routines for the handling of the “one wire” protocol. The serial number read is compared with five serial numbers stored in internal EEPROM of the the microcontoller. If the serial number read matches with any of the serial numbers stored in the memory the relay is activated. Auhor: Armando Novello. Developed by Ian Harris, the PicPack includes full source code of a USB library and sample programs targeted at PIC18s devices. A conversion of Microchips floating point code that compiles under BoostC. Speed control for a single-phase AC motor using Microchip's Picdem MC demo board and BoostC compiler (by Dan McFarland). Example code for PICDEM 2 PLUS board and ICD2 for BoostC compiler by Dan McFarland. Functions included: LCD, Voltmeter, Buzzer, Temperature, Clock. Some handy bit shifting functions by Lieven Hollevoet. Useful Analogue to digital converter routines by Lieven Hollevoet. Hardware UART interface functions by Lieven Hollevoet. Clever use of interrupts that allows use of SPI interface without code execution being blocked by Lieven Hollevoet. Code to interface to the classic 4 bit parallel LCD interface. 4-bit data interface to an LCD. Reads the status of the LCD before sending a command, so the library is not depending on timing loops in the PIC. EK BoostLoad V3.0 is a bootloader, written in C by Ryan Davis using the BoostC compiler, for some PIC16F devices. 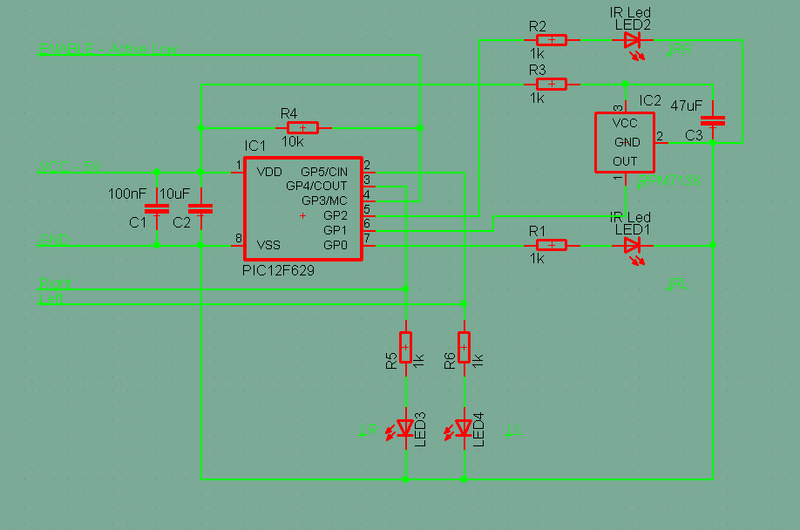 Code to use I2C hardware on a PIC16F877A. Includes hardware schematics (by Bernard van der Nest). The code uses the BoostC standard RS232 and I2C driver code.